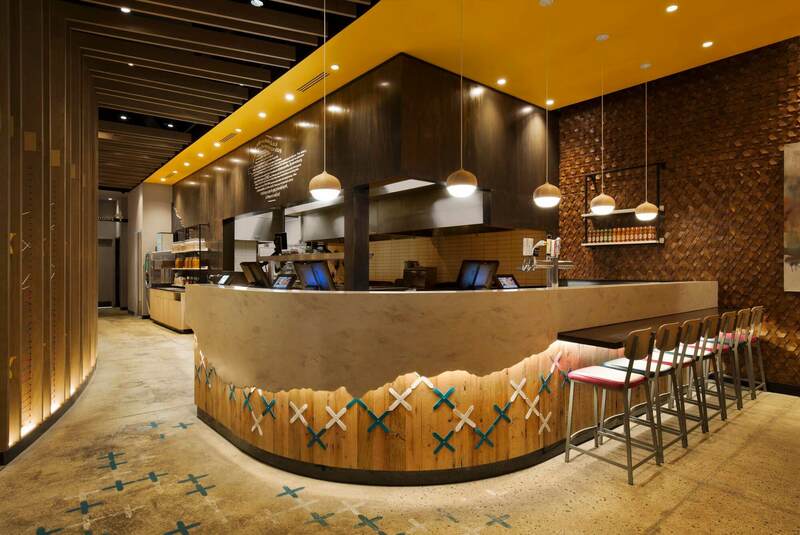 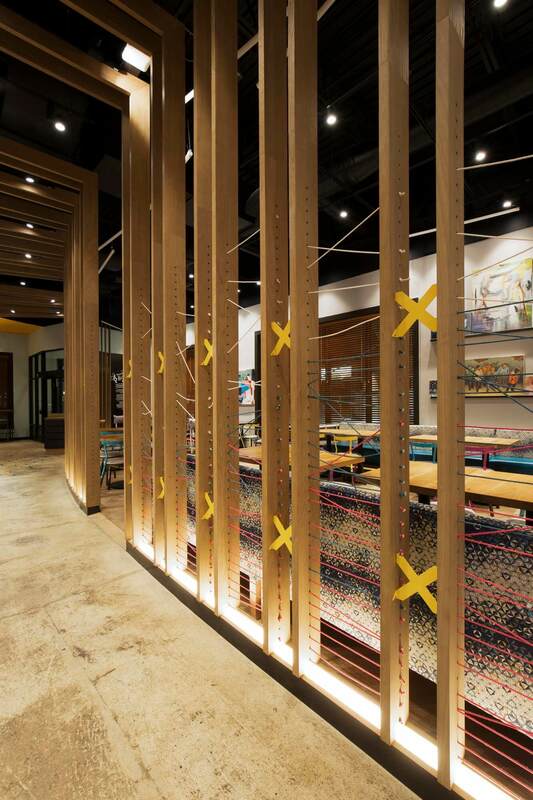 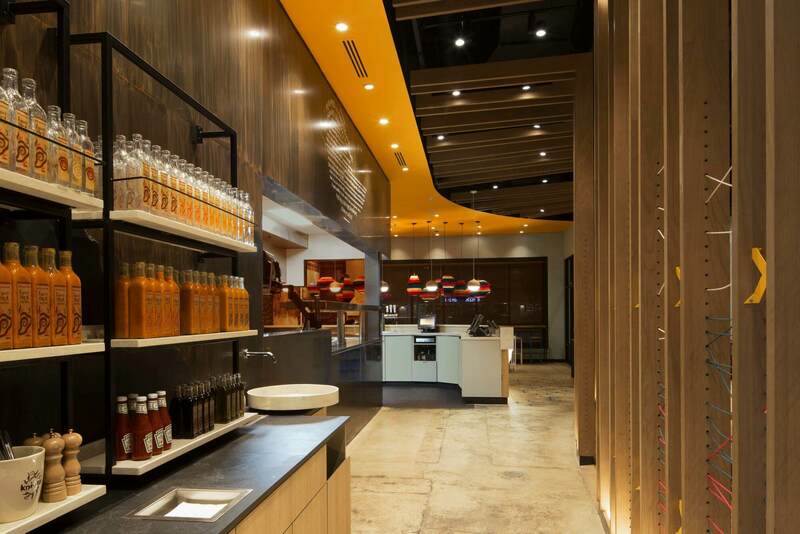 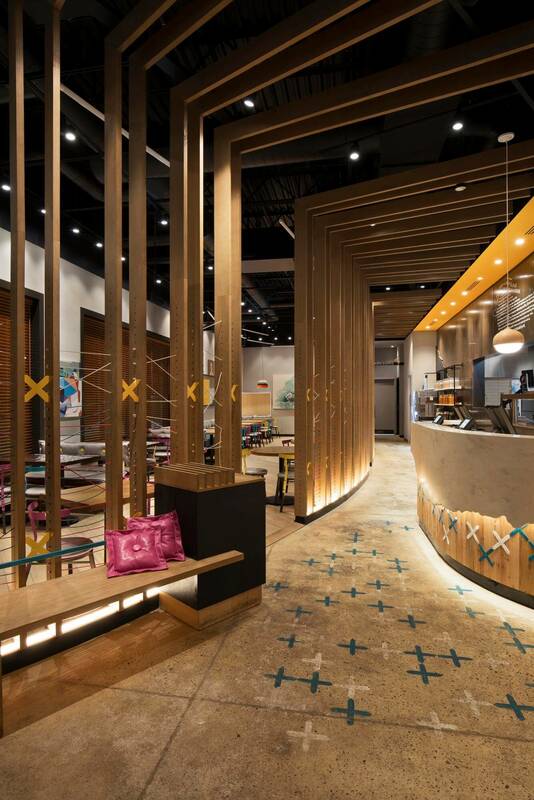 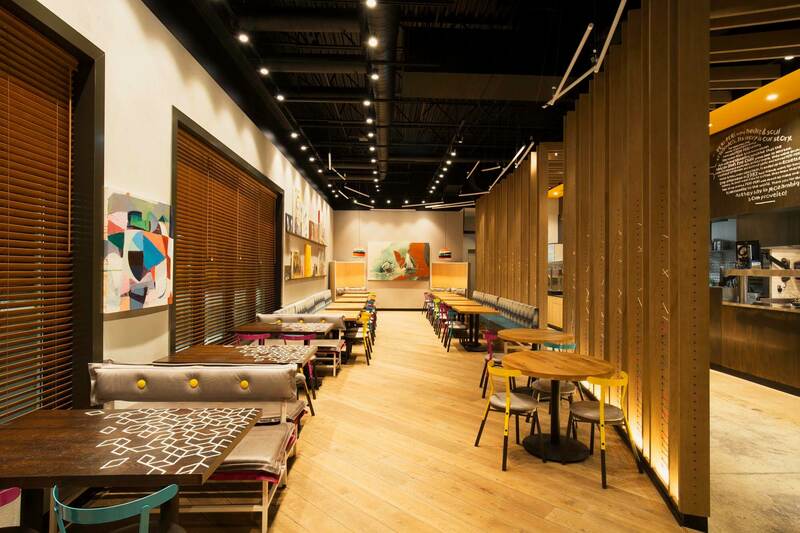 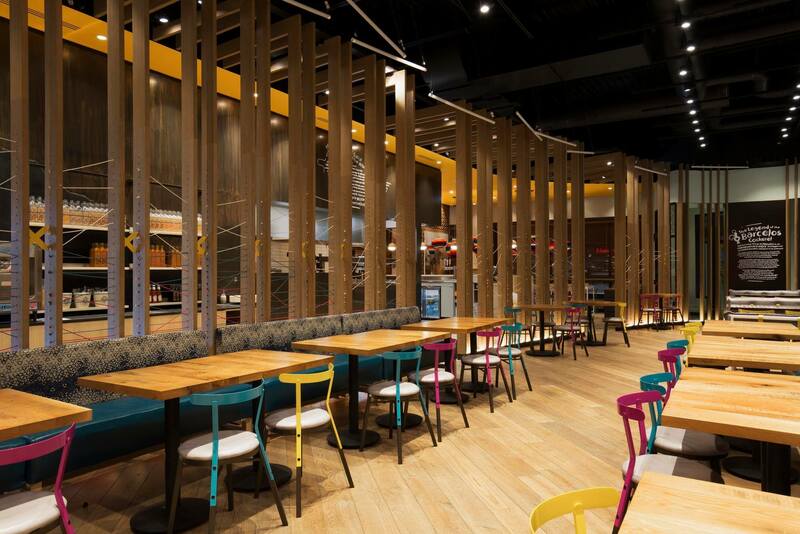 With opposites working in harmony creating moments of reveal and surprise, the interiors for Nando’s Kitchener is inviting and warm. 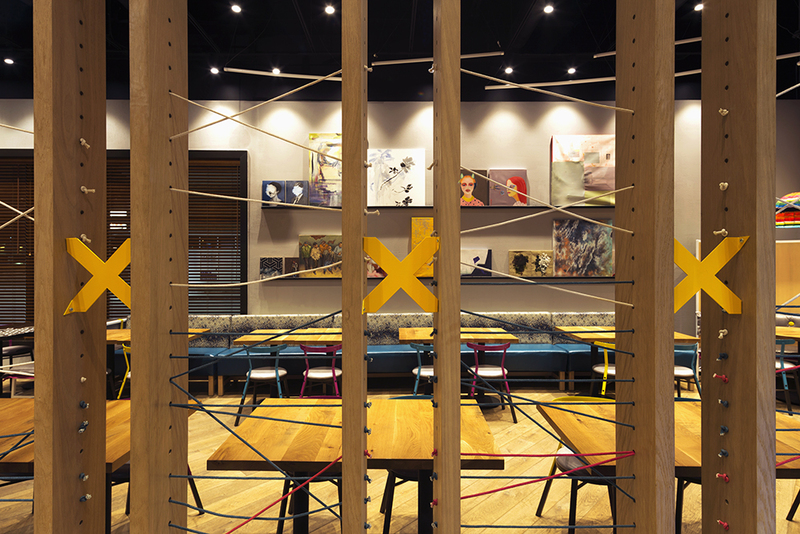 Creating drama and defining the circulation zones, custom wood screens explore the verticality of space. 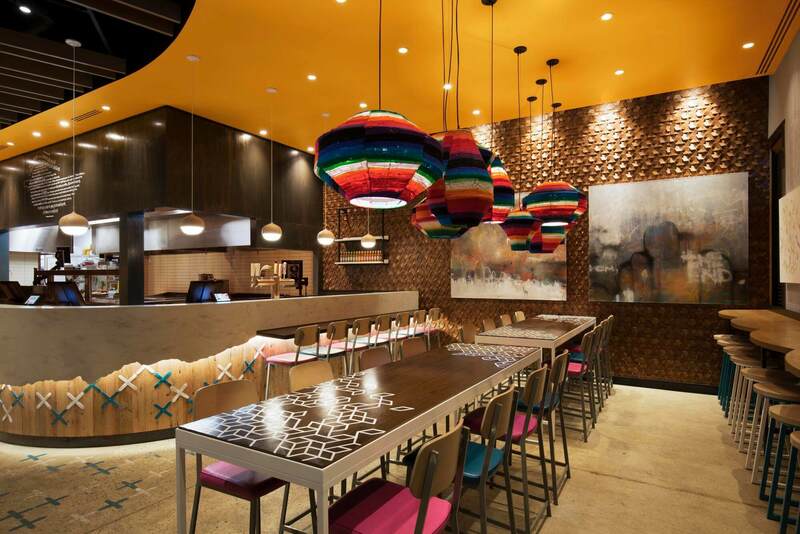 Adding artistic flare, hand-crafted cross-stitch motifs are repeated, as are authentic African art pieces that adorn the walls. 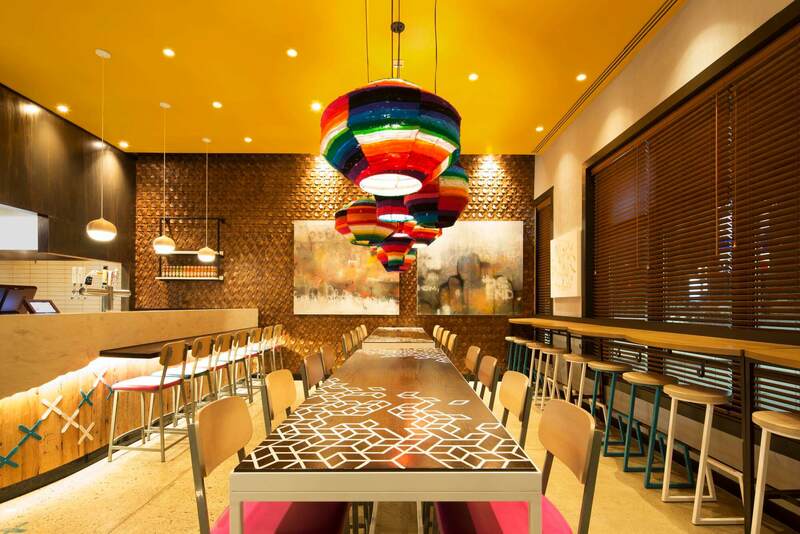 Both elements pick up the rich amber hues with teal and fuchsia accents. 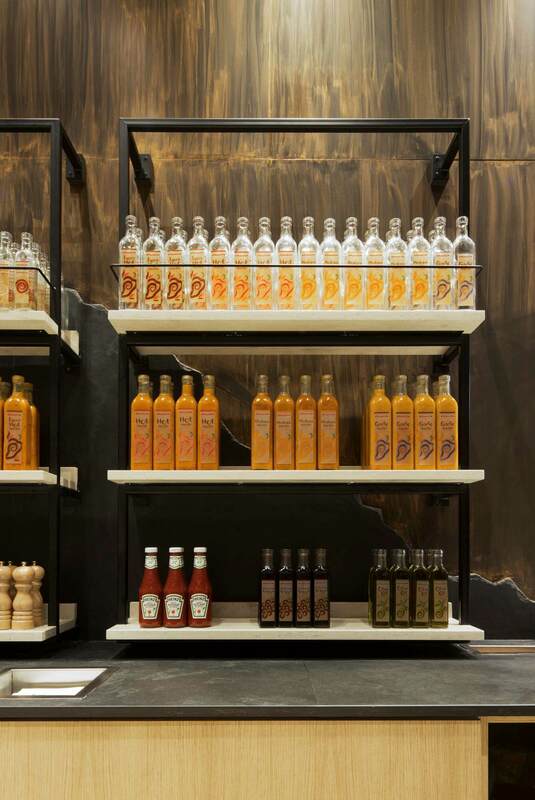 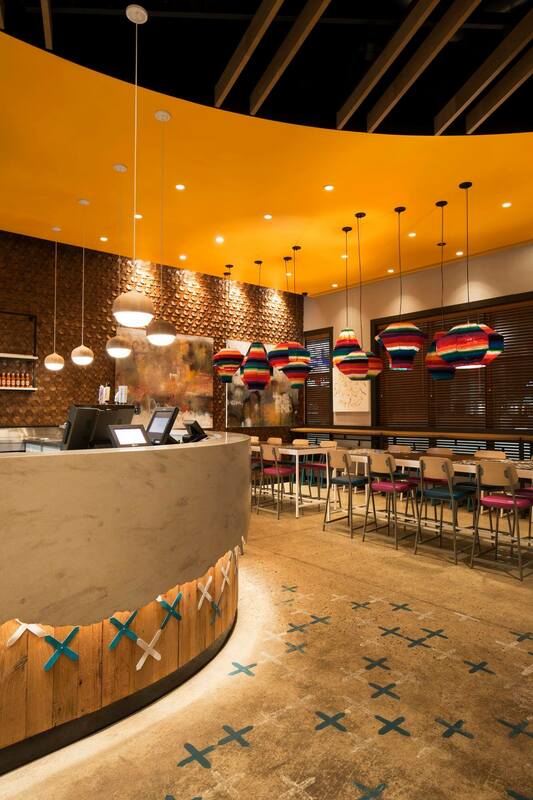 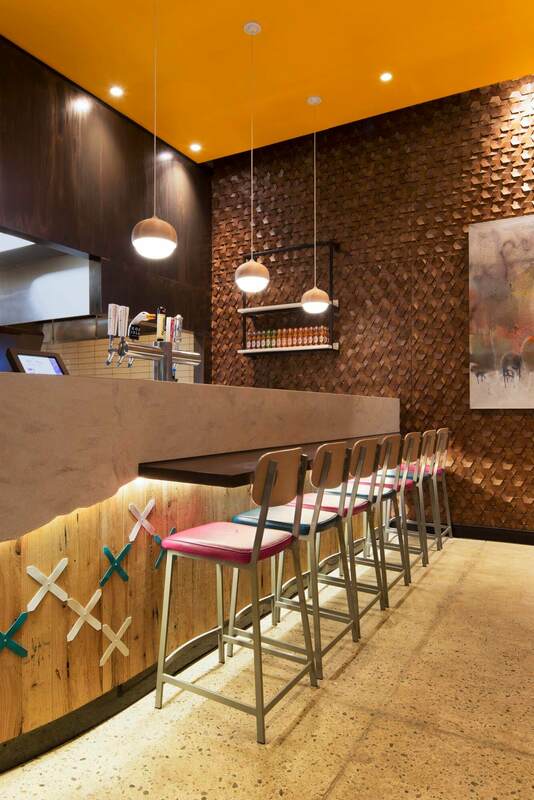 By contrasting elements and layering colour and texture, this location embodies the welcoming atmosphere that Nando’s has become known for.